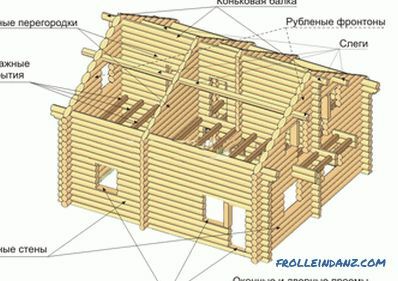 If you build a house without using measuring devices, then everything will be awry, and it will not stand for long. Our ancestors knew this, and they certainly checked the horizontal and vertical planes for the absence of error. They used those devices that were in those days. Of course, these devices could not be called perfect, but there were no others. We were more fortunate - now every master has access to a level working on laser beams, performing measurements quickly and accurately. How to choose a laser level so that it does not fail at the right moment and fits exactly to your needs, you will read below. This mechanism uses a thin and bright laser beam for measurements. For its appearance is going to a special design on the diodes. By the way, laser radiation was initially used only by the military. Then, after a rather long period of time, it came into medicine, and after that it slowly penetrated into other areas of our life, found application in industry and construction. The laser level housing consists of plastic. It has latex or rubber inserts that prevent liquid or dust from entering the inside of the precision instrument. 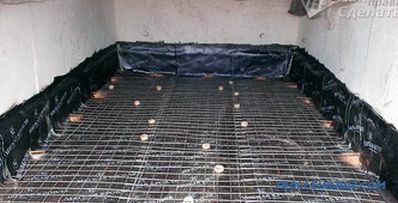 After all, the level is by no means cheap, and at a construction site, sand can get into it, and cement, and water, and drops of paint. Therefore, the protection of the body is vital to this device. 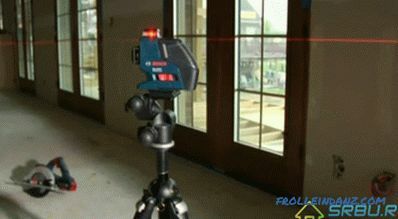 You can use laser levels both at the construction site and in the apartment for home needs. Manufacturers produce these devices of various types, so you can always choose the appropriate laser level, focusing on the tasks to be performed with it. 1. The measurements made with their help are very accurate: the error per meter does not exceed a few tenths of a millimeter. 2. A point or line, perfectly visible, is much more convenient than a reticle, with which ordinary levels are equipped. After all, it is possible to work along this line immediately, without marking, for example, by launching construction equipment along it. 3. The device makes measurements with lightning speed, it is not necessary to prepare it for work, it is enough to get everything out of the case. 4. By placing the device horizontally, you do not have to worry about further: he will take measurements himself, and very quickly. 5. 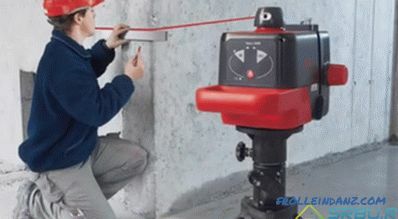 No need to be an expert to work with a laser level - anyone can handle it. 6. Several workers are not required for measurement - the device is serviced by one person. In general, a laser level is nothing more than a more modern descendant of all other measuring instruments: theodolites, tape measures, levels, ordinary levels. They are checked for any vertical and horizontal surfaces that require compliance with accuracy. Knowing how these devices are classified (after all, different types have different names and even assignments), you can get quite a clear idea of ​​how to choose a laser level according to needs. 1. 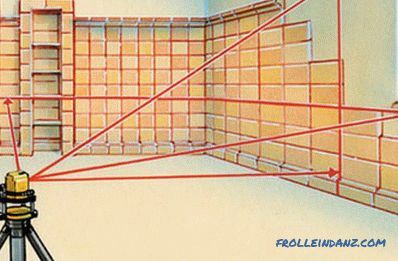 The range finder , commonly referred to as laser tape measure, is the simplest device. Builder - in everyday life it is called "laser level" or "laser level". Static axis builders (other names - pointer, point laser). 3. Rotational builders , building planes (other names - multi-prism builder, level). Typically, such devices are used in the construction and decoration of apartments, facades, small areas. Crosslayers emit rays, which are static lines. These lines are formed by passing a laser beam through a special prism, and splitting it, and not by rotating the laser beam around its axis. Usually these split rays do not reach far - twenty meters, not more. If the builder is used with a special receiver, then its range can be increased to fifty or even hundreds of meters. The more powerful the LED and the design, the farther the rays are stretched. Since there are several diodes and prisms used, the builders are called multi-prism. There are, however, unpretentious models, where there is only one beam, vertical or horizontal. But they are few. Basically, these two rays: vertical and horizontal. So it turns out the cross of the laser beams.Complicated models have several lines and crosses, and there are some that can be used as a plumb, they shine up (zenith) or down (nadir). The sweep angle of the lines of the standard builder is one hundred and twenty degrees. In more "cool" models, it is one hundred and sixty degrees. The greater the angle, the more the additional intersection of the lines. It also happens that all three hundred and sixty degrees are used (when the lines are connected to a full plane). A cross-leveling system usually has a self-leveling system, of a pendulum or electronic type. To ensure accurate readings, level the instrument horizontally with a conventional bubble. The pendulum compensator instantly positions the device so that its plane becomes parallel to the ground. And while working, there is a slight compensation for shifts and tremors. This makes the self-leveling system. The maximum allowable angle to compensate for many laser levels is three degrees. Although there are models where this angle is five and six degrees. If the angle is greater than this value, the automation signals that it is necessary to manually adjust the position of the instrument. This can be done by twisting the legs, or else you can move the device to another place. When the plane or line is not strictly horizontal and vertical, but inclined, you can turn off the automation, relying only on yourself and adjusting the position of the device manually. The marking of the wall with the help of the line builder attached to the wall. These devices are also called dot lasers. They do not have an emitter that rotates or a system of prisms, so they give only points indicating the desired direction. But these points can be seen much better than the line of the previous type of builders. This is especially evident when the sunlight is dazzlingly bright. Indeed, in the builders of the axes of the prisms that extinguish the beam is not available. 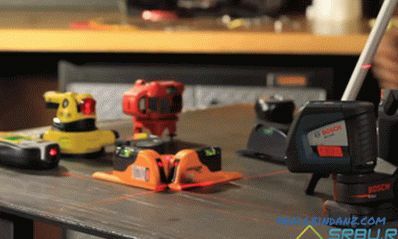 Therefore, deciding which laser level to choose for a very large room, get just such a model - you will not regret. And on the street it will be comfortable to work with her. An example of the operation of a point laser. Such a device has three or five rays. They are directed up, forward, down, left and right, respectively. The dotted lines are perpendicular to each other. 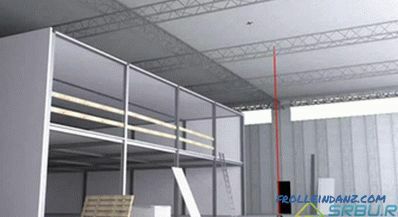 Such a device can mark the formwork, the projection of floors, frames, partitions, walls. Sometimes these devices are referred to as laser plummet, which does not give a full characteristic. Zenith can be obtained by placing the device on the floor, and nadir - raising it with a tripod. 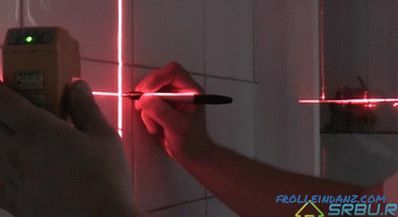 An example of marking the ceiling using a point laser. In these devices, the light beam is not scattered with a prism, but rotates, due to which a plane is formed. In general, this is a point type pointer with a rotating high-power laser. The range of the device is very good, so it is often used in construction, where there are impressive areas. Although inside the premises (especially large ones) such builders are also quite possible with success. 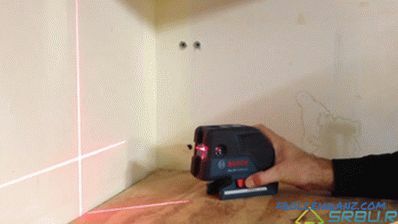 For example, such a laser level can check the surface of the supporting structure. Additionally, a rotary plotter can create a laser beam directed to the zenith. It is very convenient with such a device to measure the difference between heights. Example of the operation of the rotary builder. If in addition, there are no devices, then the range of the laser beam of such a device is from fifty to seventy meters. If we use a receiver (usually bundled), then the range increases simply fantastic: up to three hundred, or even up to four hundred meters. A sensitive receiver catches the beam on the construction site and gives a signal about it. 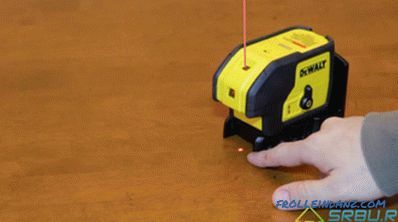 As a rule, laser levels allow you to adjust the speed of rotation of the beam. The radiating head can be made to spin at a speed ranging from ten to six hundred revolutions per minute - this is a solid range. Moreover, the adjustment helps to reduce the consumption of the power source, leaving its resource more complete. And the functionality of the device, the ability to adjust, significantly increases. Markup using a rotary builder. Builders with a rotating beam can form only a horizontal plane, but can also be adjusted on a tripod, showing both a vertical plane and an angular one. But the latter, the inclined plane, can be spoken only when the model is very "advanced." In this case, the horizontal position compensator is simply turned off by operating manually. Although there are models where one axis is compensated and the other is set manually, in some cases this can be useful. There are rotary plotters with a remote control that duplicates buttons located on the instrument case.This is convenient - you can control the device, moving away from it for a considerable distance. Also, all rotational levels have a function called “out of level”. She will not allow to mark anything wrong. Well, we have considered the main types of laser levels, now it remains to go to those device parameters that should be paid special attention. And also let's talk about what can limit the functionality of such a device as a construction laser level. 1. A very important indicator is the projection error. So, having bought the laser level of an unknown manufacturer on the market on the cheap, do not hope for its high accuracy. Up to three (!) Millimeters for every ten meters will be an error, which is a lot. If you buy a model more expensive, and besides a good brand, then the error will not exceed one, or even only half a millimeter. Rotational builders are more accurate. When buying, be sure to check what error the device gives out. 2. Ranges (visible and scanned), otherwise, the range is also significant. Typically, well-known companies here underestimate the numbers. How do you start to use - the result is much better. But this is not bad, because on the contrary it would be much worse, agree. The size of the working area, which is important for rotary devices, is calculated differently for different manufacturers. Here, see the radius or diameter in question. Some companies can write the first, and others - the second. If you are buying a static builder, ask if it can work with the receiver. Even if the receiver is not included, it would be good if there was such an opportunity. 3. We study the laser characteristics in the device passport in detail. This is its wavelength, power and class. The most commonly used laser with a wavelength of six hundred and thirty-five nanometers. It has a red beam with a small yellowing. The green beam is more powerful, bright and pleasant to the eye - its wavelength is five hundred and thirty-two nanometers. Previously, lasers with a wavelength of six hundred and fifty nanometers were used, but now they have already been taken out of production. 4. Another important point: self-leveling features. Not a very good option is the limiting angle of three degrees. Better, of course, if this angle is five degrees. The passport also indicates the time during which the compensator is adjusted. Naturally, the smaller it is, the better for the user. In addition, sometimes it becomes necessary to turn off the self-leveling device - there should be such an opportunity in a good device. This is necessary, for example, when working on a slope or when moving the device. 5. Now the power supply. It is he who determines how long the device can work without interruption. The static builder runs on finger batteries or rechargeable batteries for at least ten hours. To save power, turn off unnecessary rays. Since the rotation of the laser requires more energy, the rotary devices with finger batteries will not do. They work on alkaline, nickel-cadmium or nickel-metal hydride batteries. The capacity of the device for charging and its speed are important. Rotary laser levels can operate without interruption from twenty-five to forty hours. 6. The ambient temperature required for normal operation is also indicated in the passport. Models of levels of professional type, from reliable manufacturers can work in cold weather (at minus twenty degrees), and in the heat (at plus fifty degrees). In addition, pay attention to such a figure as the temperature allowed for storage of the device - usually here the temperature range is greater than necessary for work. Do not confuse these two quantities. 7. The security of the case is different, it can be easily identified by marking. Thus, the standard protection - marking IP54 - will give you the opportunity to use a laser level and on a dusty construction site, and in the rain. In order to protect the device in the event of a fall, it is equipped with damper plates. In addition, it is important and the quality of the material of the body, and its ergonomics. Here, for example, the company Spectra Precision produces models, where in the passport it is indicated that nothing will happen to the device even if it drops from a meter - one and a half. Naturally, provided that the level is fixed on a tripod. receiver to intercept the beam. 9. Manufacturing company. In the first place in the ranking, you can put the company BOSCH. It should be noted that the Bosch laser level is highly appreciated by both professional builders and home craftsmen. Prices for household and professional appliances of this brand may differ from each other very significantly, but the quality of even the cheapest model is excellent. Condtrol also produces very good laser levels and levels. Of course, they are slightly inferior to the products of the previous manufacturer, but they have a very nice price. The company Matrix, as experts say, produces not very good professional levels, but the home models are at its height. Products of the Kapro brand, both professional and household, are best used indoors. There they showed themselves well, on the street - worse. Those who have acquired a high-quality laser level for work have never regretted their decision. After all, this exact tool has solid advantages, it is just perfect. The price is not very low, but the high quality of work and the time saved are expensive!